Because climbing is one of our main reflections. 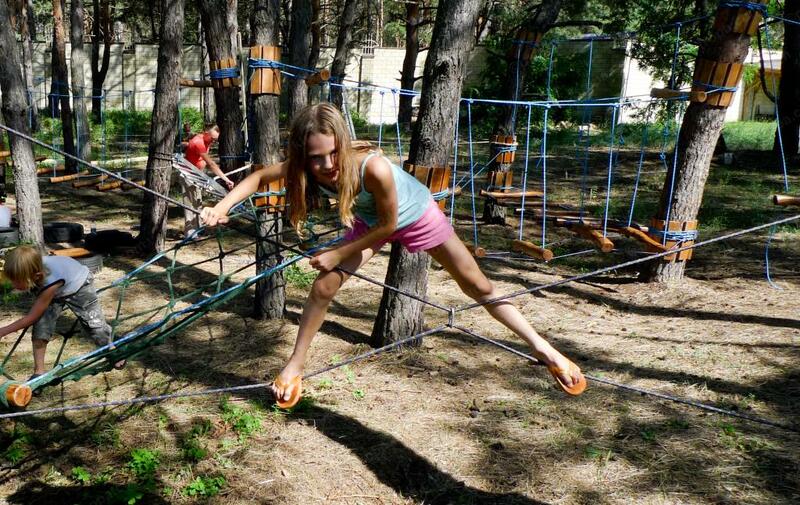 Because climbing plays an important role in the correct development of the child! Because climbing is kids’ favorite activity! 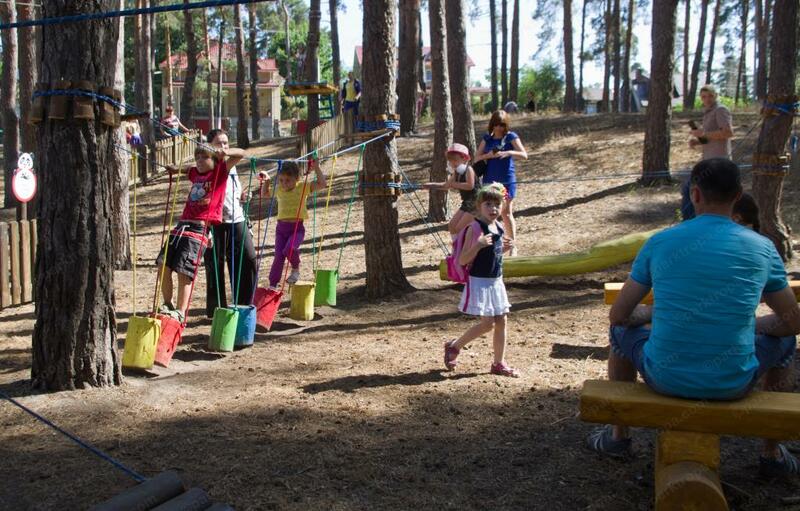 That’s why children’s ropes course “CLIMBING FRAME” is a perfect playground, developing athletic and motor skills in children. 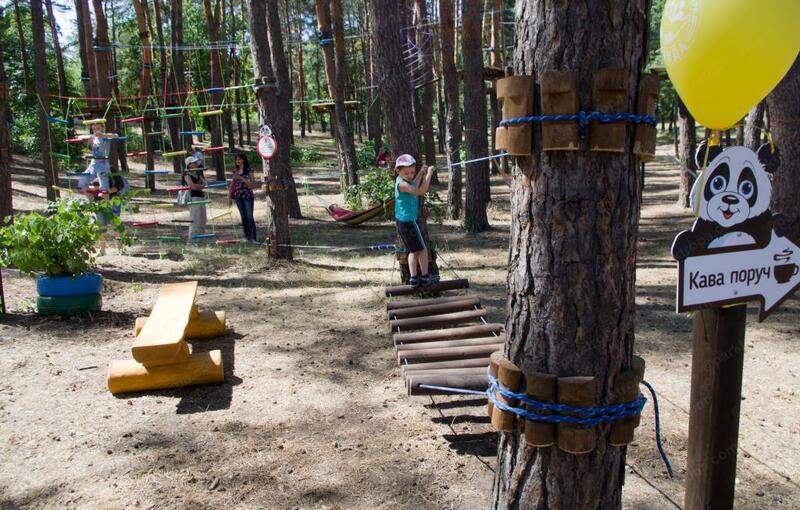 Various rope competitions are raised to a height of just 30 cm from the ground and do not require special safety equipment. 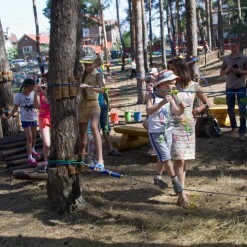 The unique construction of fastenings, ease of care and the quality of the used materials make the children’s ropes course “CLIMBING FRAME” completely unique attractions for children. 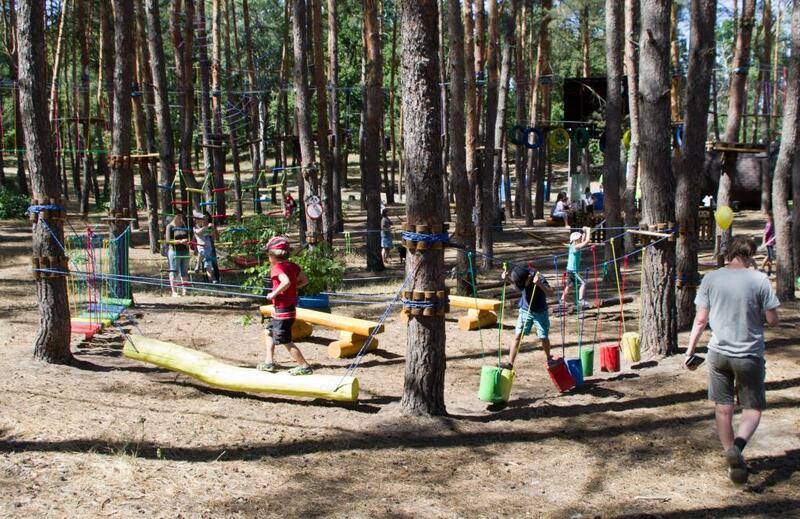 Its main advantage is the interest of passing the rope obstacles, where the spirit of sports games and rivalry helps the child to overcome competitions and to come to the finish line a real winner. 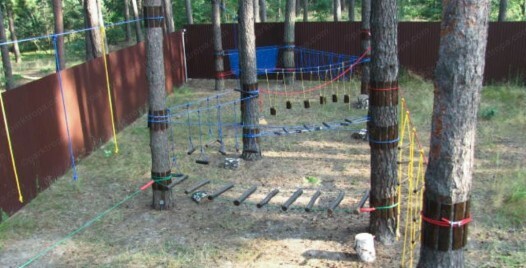 Where is it possible to put the CLIMBING FRAME? 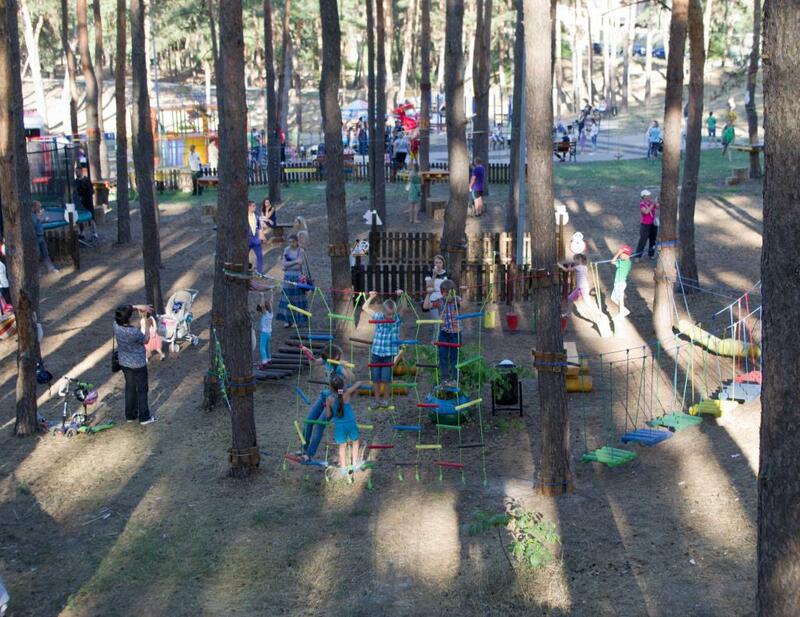 children’s ropes course “CLIMBING FRAME” will be incredibly in demand and very popular. 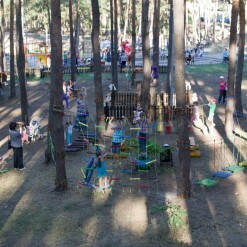 The joy and enthusiasm of sports will fill the rope park by children’s gladness and noise, wherever it was. 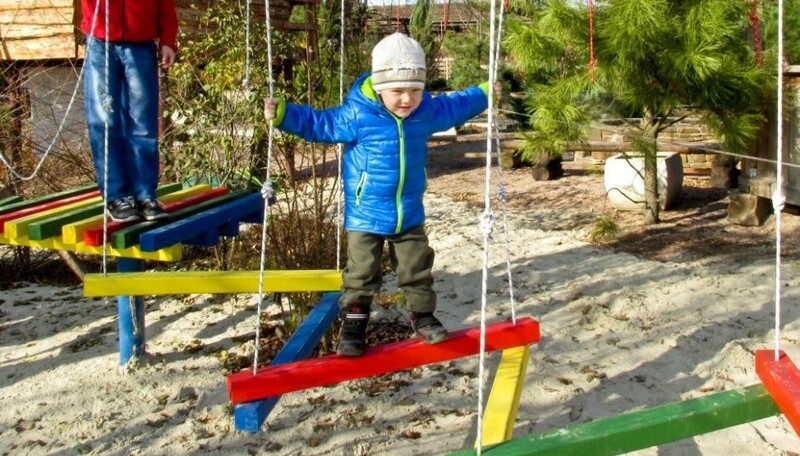 Even a child of 6 months can be happy to grab by little hands colorful soft ropes and to climb without stopping. 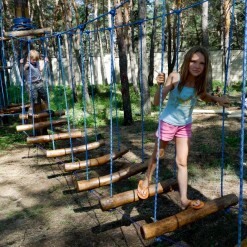 Kids like it very much, because they start to climb before walk. 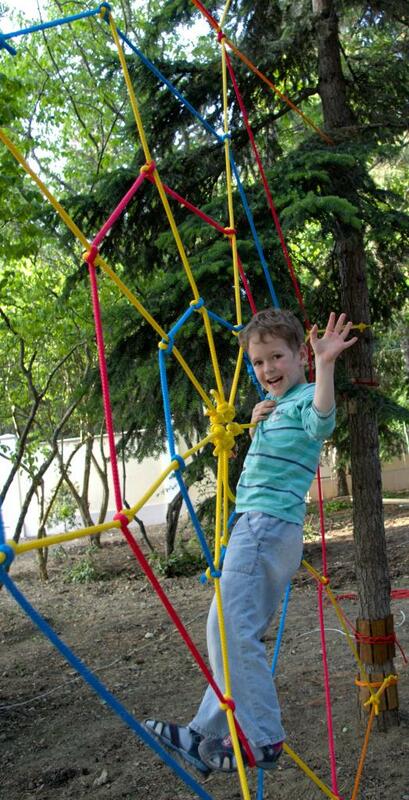 The development of fine motor skills in children. 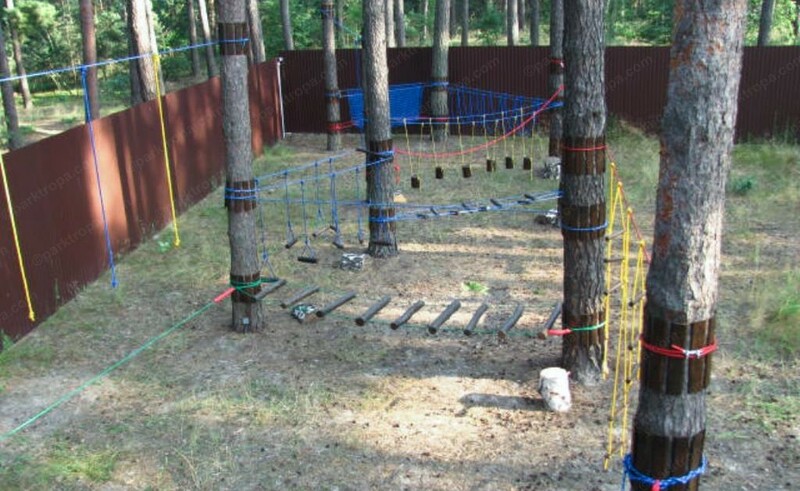 Daily exercises in such children’s ropes course contribute to the development of fine motor skills of hands and feet in children, a beneficial effect on coordination and agility. Scientists have proved that the development of fine motor skills and the timely development of speech are closely related. Through touch and grasping reflexes child constantly receives sensory information that stimulates the development of the speech centers of the brain. 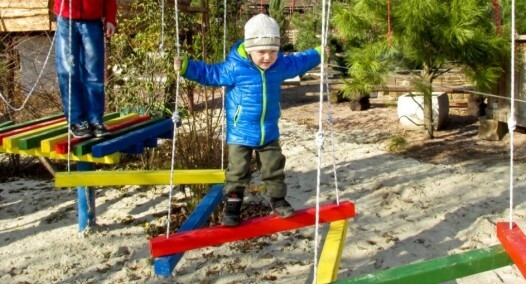 A fresh air and natural environment of rope park help the child in overcoming new and interesting jobs. 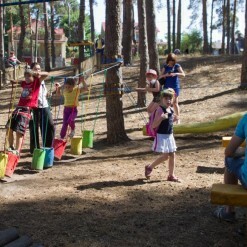 Therefore, the benefits of regular classes with the kids in the children’s ropes course for early child development, is huge. Your rope park grows with your child. 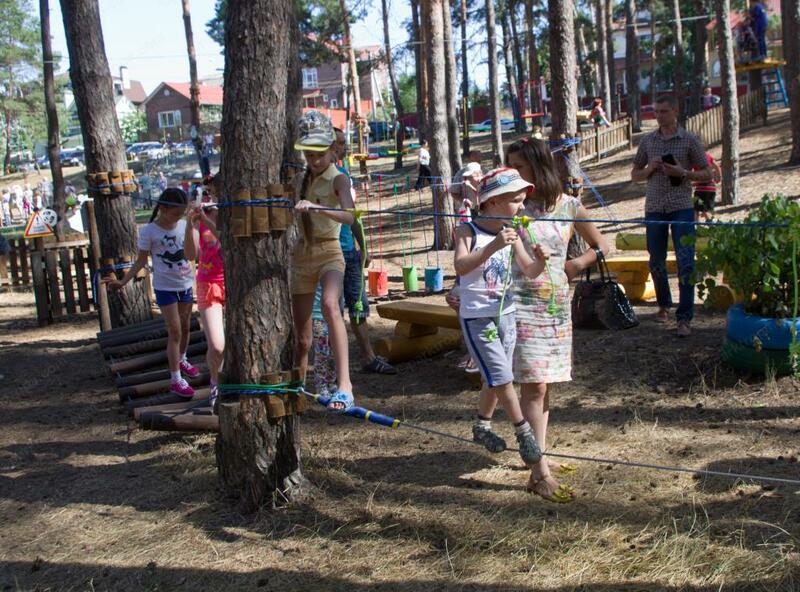 You can adjust your children’s rope park at any age, replacing the simple rope competitions to more complex and interesting, with the growth of your children. Replacement of competitions does not require special skills; the process is similar to the constructor, which can easily change modules. Moreover, you can adjust your rope park for the increase of your child, changing the height of the competition thanks to universal mounts. 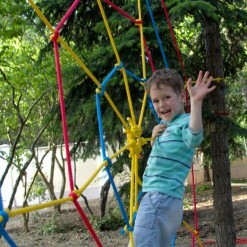 Mounts are suitable for trees, and artificial legs for the outdoors, and to accommodate the children’s rope park indoors. children’s entertainment center inside the building. 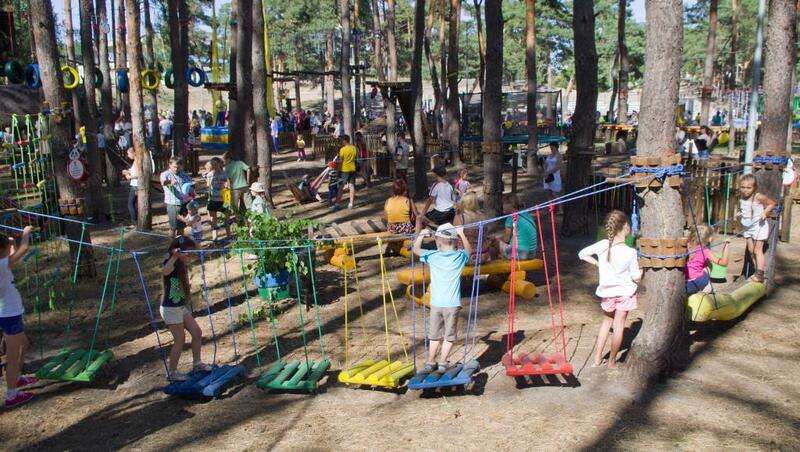 Are you looking for unusual playgrounds or children’s camps for summer residence? 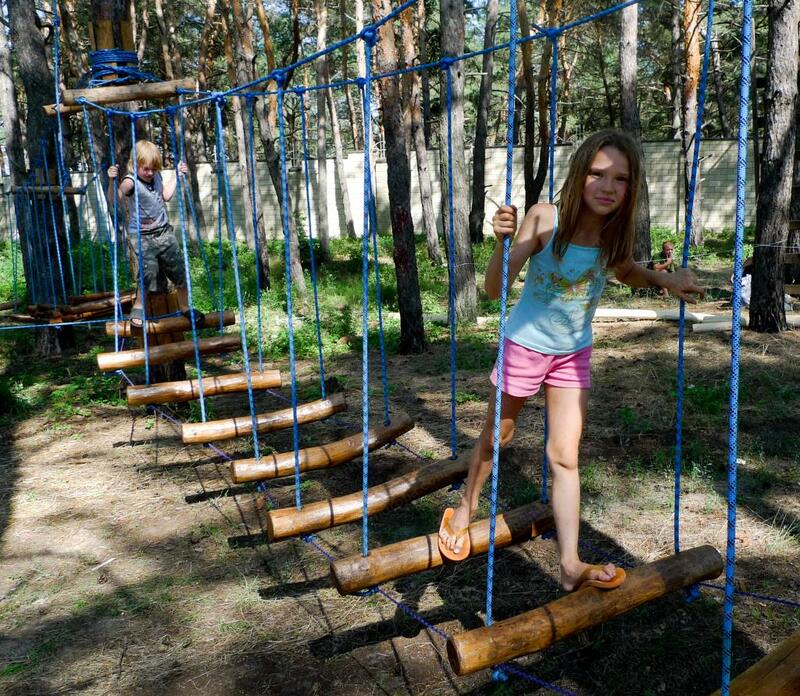 Rope park “CLIMBING FRAME” will be the best friend for your children, a coach and teacher, will fill their childhood with happy memories. 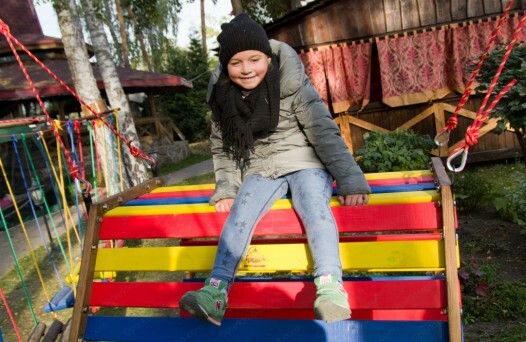 A bright natural design, colorful colors and natural wood elements of children’s park harmoniously adorn every corner of rest, no matter where it is. 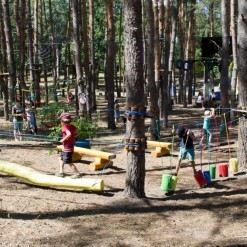 Give your kids children’s ropes course with us!